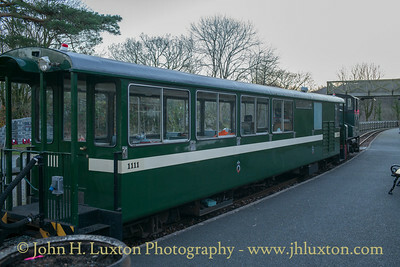 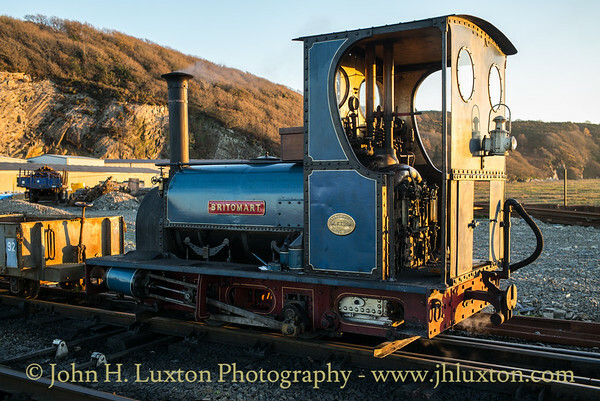 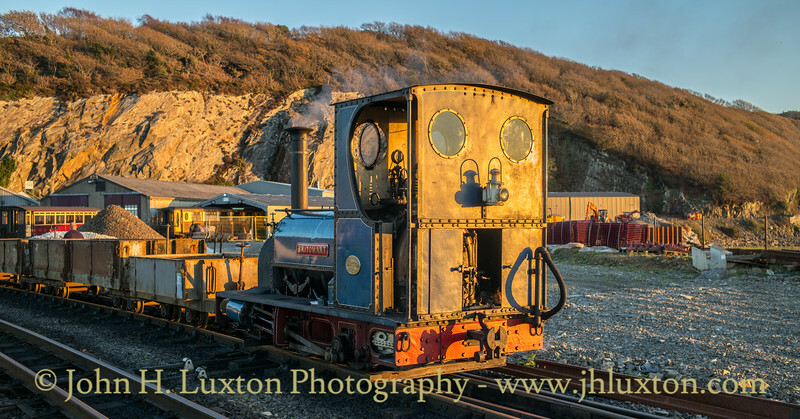 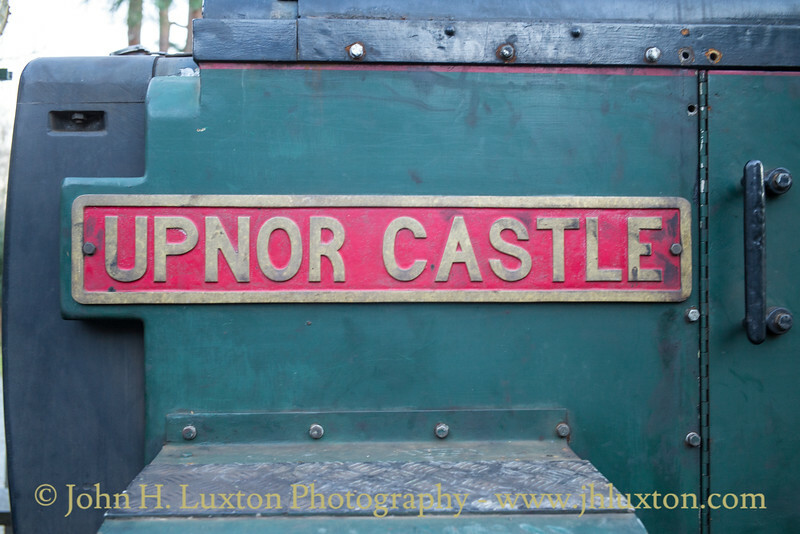 Ffestiniog Railway 2018 - Photographs are shown in reverse chronological order with the most recent shown first. 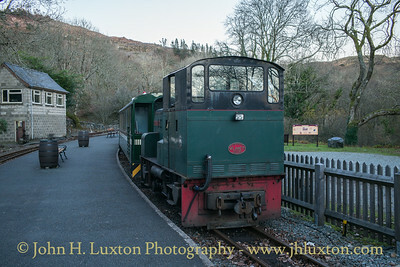 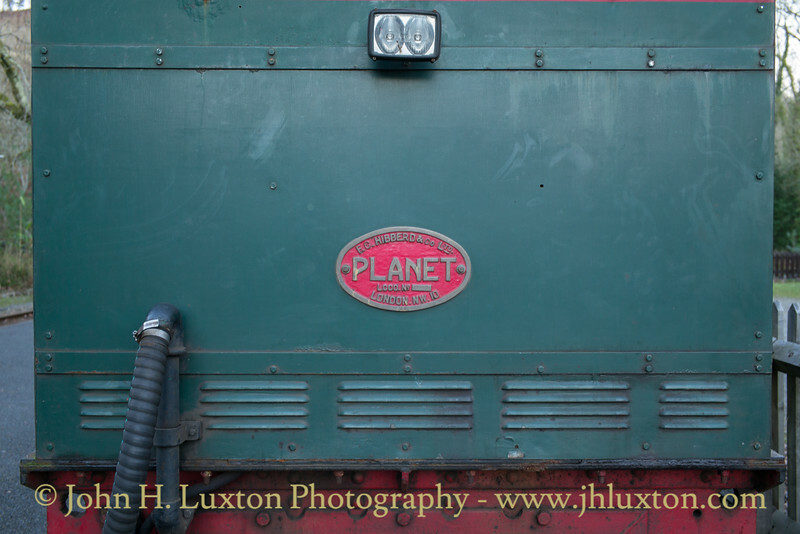 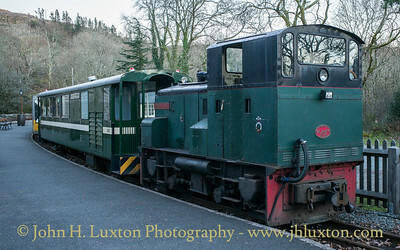 Planet diesel UPNOR CASTLE at Tanybwlch Station with a work's train. 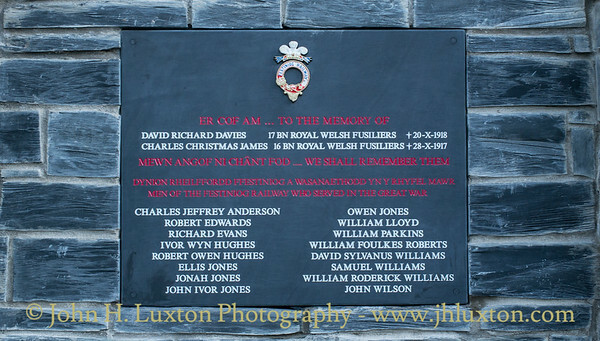 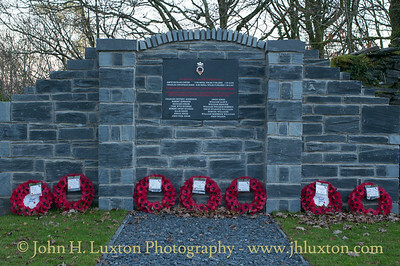 Ffestiniog Railway War Memorial to commemorate those staff who were killed in action and who served in the First World War. 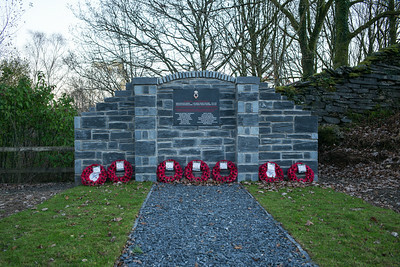 It was dedicated on Armistice Day - Sunday November 11, 2018. 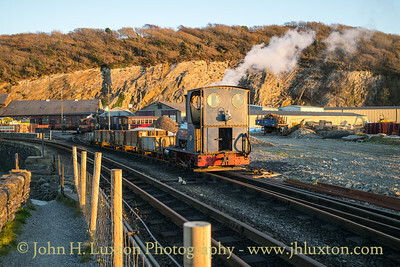 Illuminated by the setting sun BRITOMART an 0-4-0 Hunslet tank locomotive built in 1899 for Pen-yr-orsedd Quarry seen shunting at Boston Lodge works in the late afternoon of November 17. 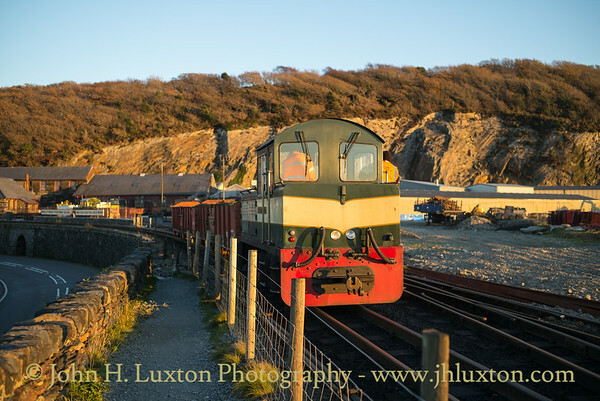 CRICCIETH CASTLE propels two bogie wagons, which it has brought out of Boston Lodge Works, up the line. 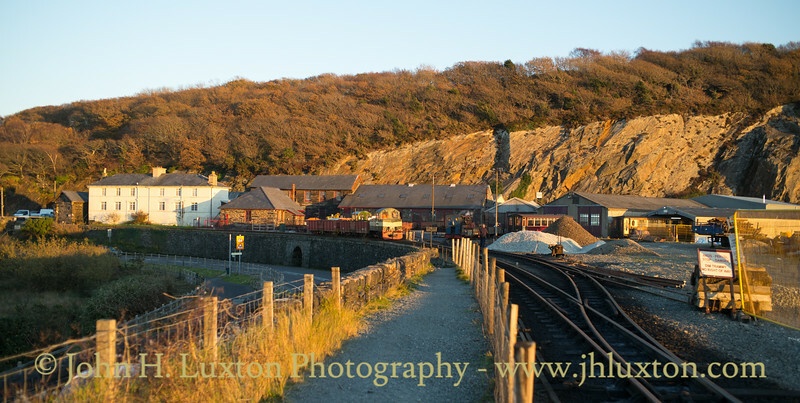 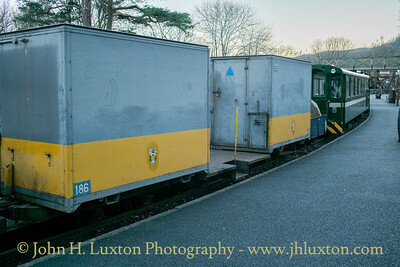 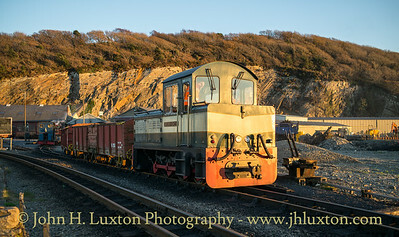 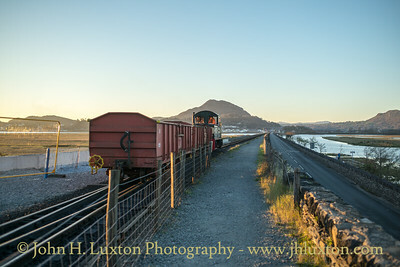 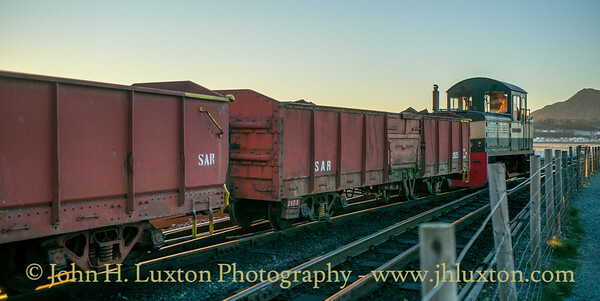 CRICCIETH CASTLE draws to bogie wagons out of Boston Lodge works in the late afternoon light.